I’ve been making these for as long as I can remember! 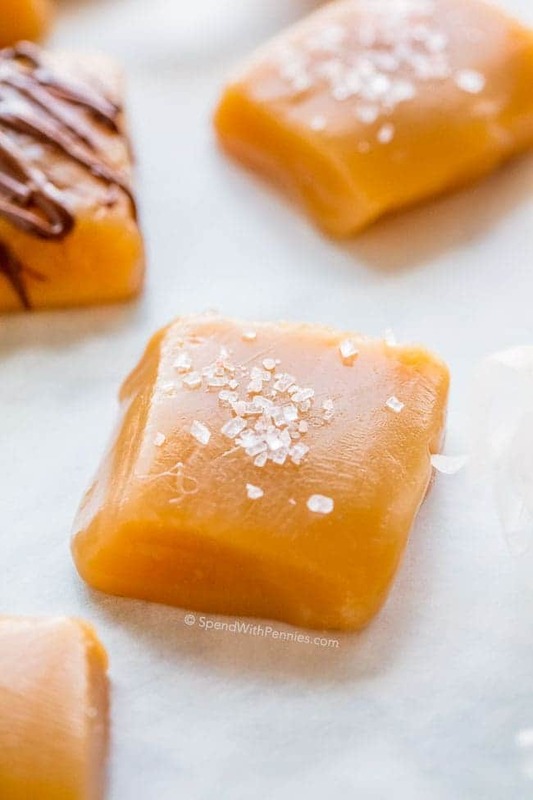 These are delicious chewy little caramels that are very simple to make and no candy thermometer is required!! 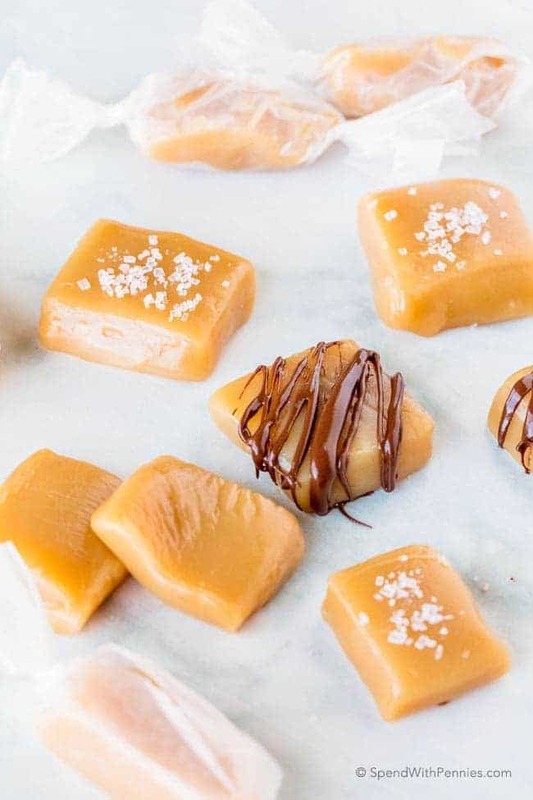 They can be used in any recipe that requires you to purchase and unwrap little caramels and are just perfect enjoyed on their own. 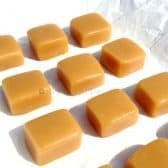 The smaller the dish you use, the thicker the caramels will be, I like to make them in an 8×8 pan. 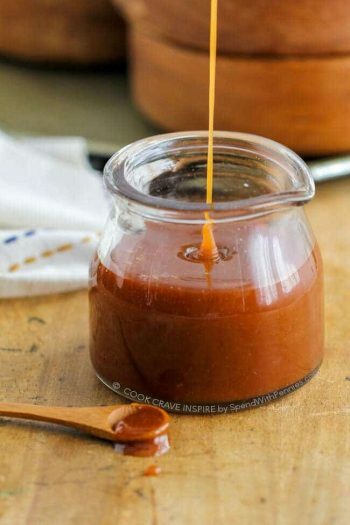 A larger dish will just mean a thinner caramel. 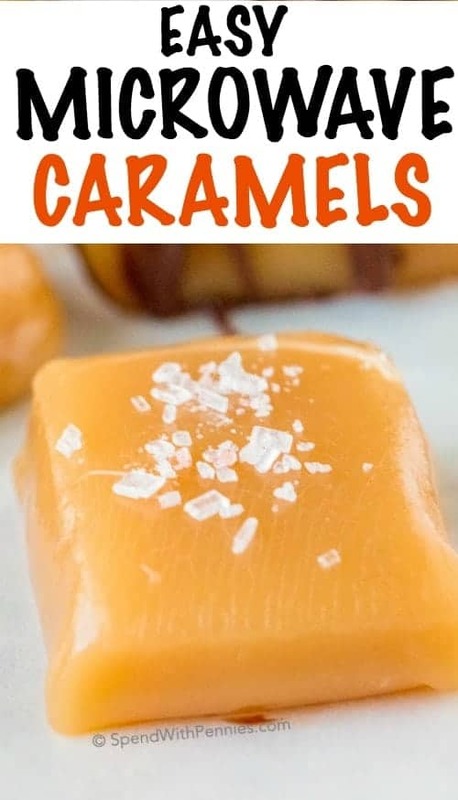 You can cut them into squares or into longer sticks. 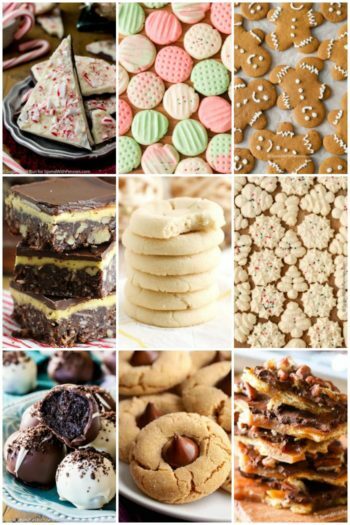 If you’re giving them as a gift, it’s nice to cut them into sticks and wrap each one in a small piece of waxed paper or pretty candy wrappers. Once they are cut into squares, they are still quite pliable so we store them in the fridge until about an hour before serving! 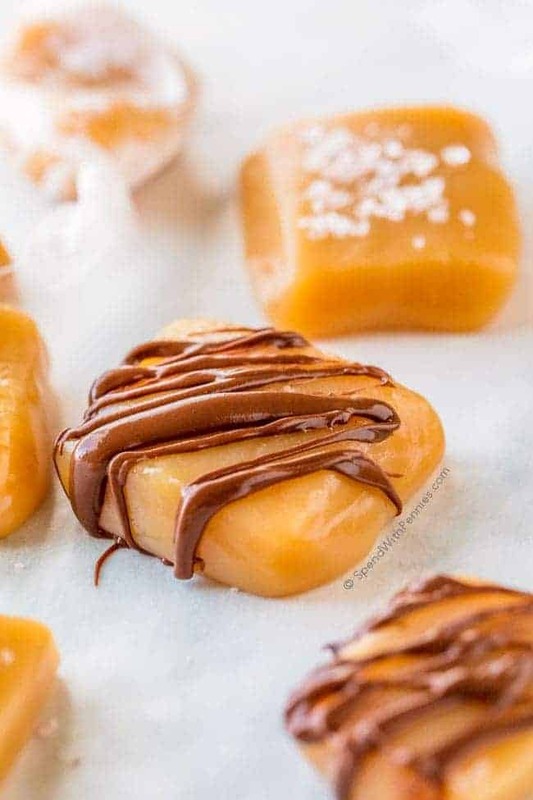 They are perfect dipped or drizzled with chocolate and sprinkled with a little sea salt (or skip the chocolate for a salted caramel). Note: This mixture gets VERY hot. Ensure there are no children underfoot when you make this. Mix all ingredients in a large microwave safe bowl (the mixture will bubble up so make sure there is lots of room in the bowl). Microwave on high for 6-7 minutes, stirring every 90 seconds. 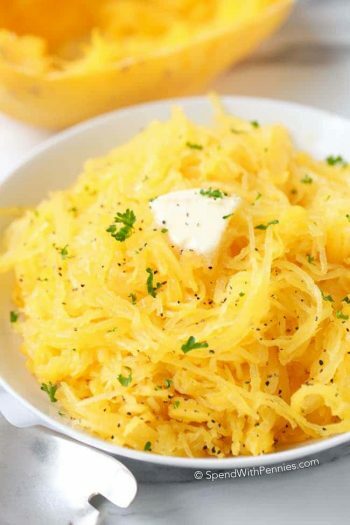 Pour into a small buttered dish and allow to cool completely. Cut into small squares. 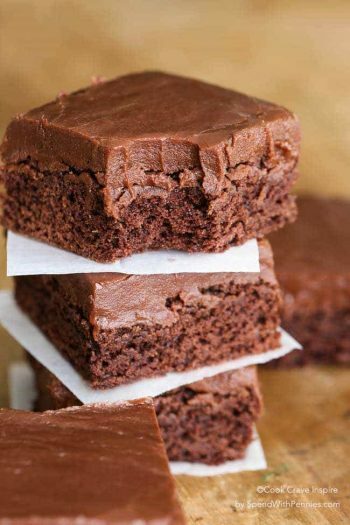 If desired, drizzle with chocolate and a sprinkle of sea salt. 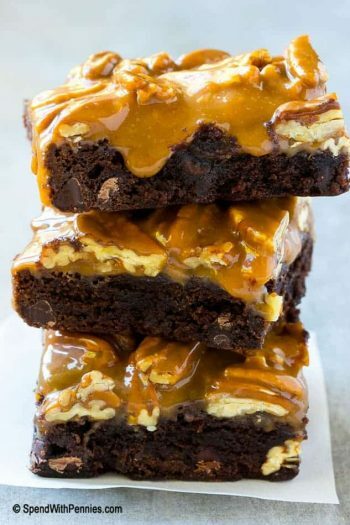 This was cooked in a 1000W microwave at 6 minutes and produced a soft yet chewy caramel. 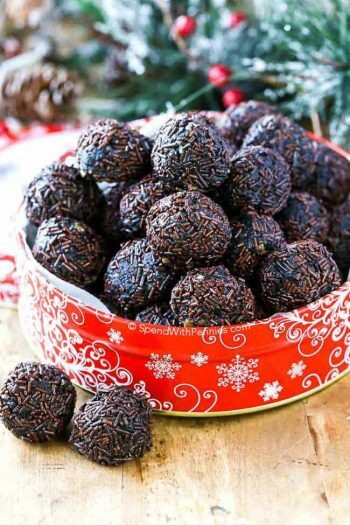 Nutrition calculated without salt or chocolate garnish.